Gigantic light displays, dancing Nutcrackers, a colossal party on ice, enchanting night trains to magical, northern worlds, and performances that make our hearts grow, the holiday season has arrived and events are beginning all around Southern California.With so many choices, it can be difficult to decide which ones will be best at putting you in the holiday spirit. 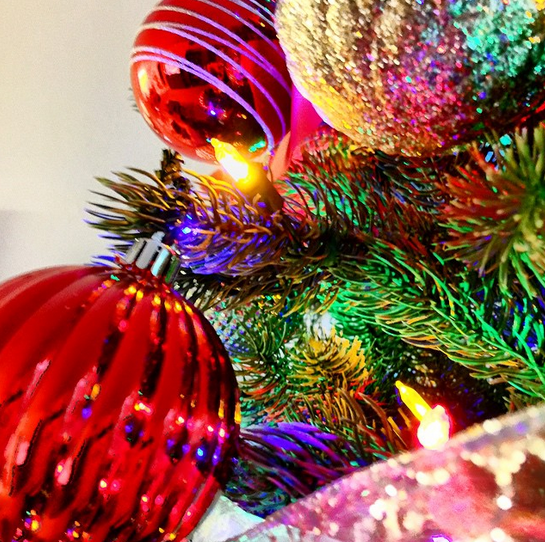 Here’s a list of our five favorite holiday events or productions in Orange County, California. All family-friendly and all full of magic and good cheer, I can guarantee you’ll be singing holiday tunes all the way to Christmas and into the New Year. 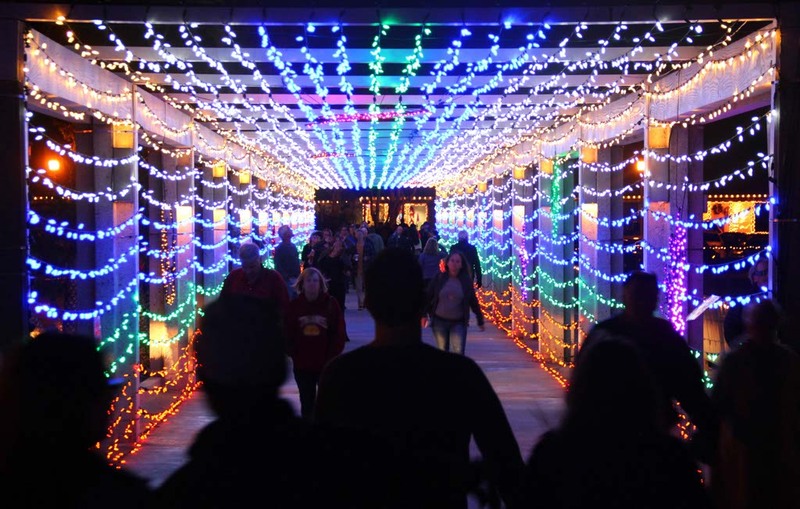 Dana Point’s IlluminOcean, presented by the The Resorts of Dana Point, will electrify the world famous Dana Point Harbor with 40 nights of holiday lights. With over one mile of larger-than-life seas sculptures and moving light tunnels dotting the coastline, every step is sure to enchant, excite, and electrify your night. Throughout the city, colorful banners will also herald the new holiday spectacle, as lighted trees, decorated lamp posts and a brand new entrance light sculpture will lead visitors from Pacific Coast Highway to the event festivities. Stroll through the colorful collection of immersive attractions, every step is filled with vibrant sights and sounds. Bursting with energy and excitement, Festival Ballet’s enormously popular production charms audiences of all ages. 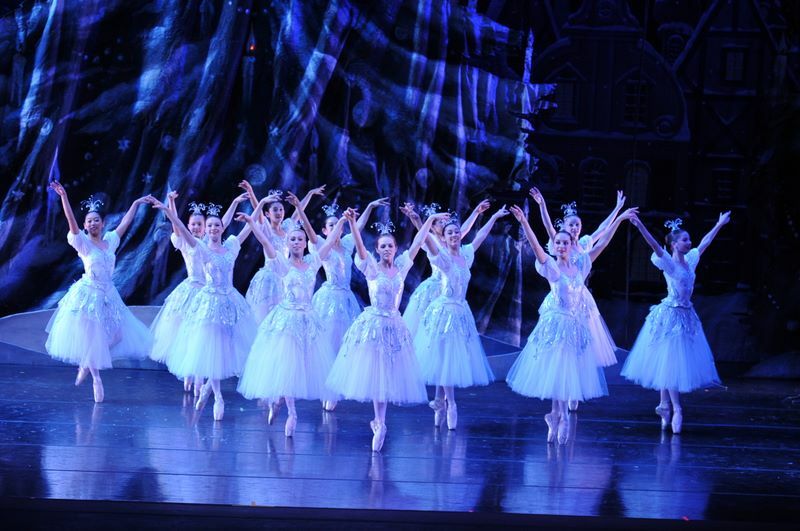 Set to the timeless music of Peter Tchaikovsky, The Nutcracker tells the story of Clara, a young girl who receives the gift of a nutcracker soldier from her mysterious godfather – and then the magical journey begins! Family-friendly and affordable, this full-length, traditional production is choreographed and directed by Festival Ballet Theatre’s Artistic Director Salwa Rizkalla, and features spectacular guest artists, FBT’s professional company dancers, and exceptional young talent from across the Southland. 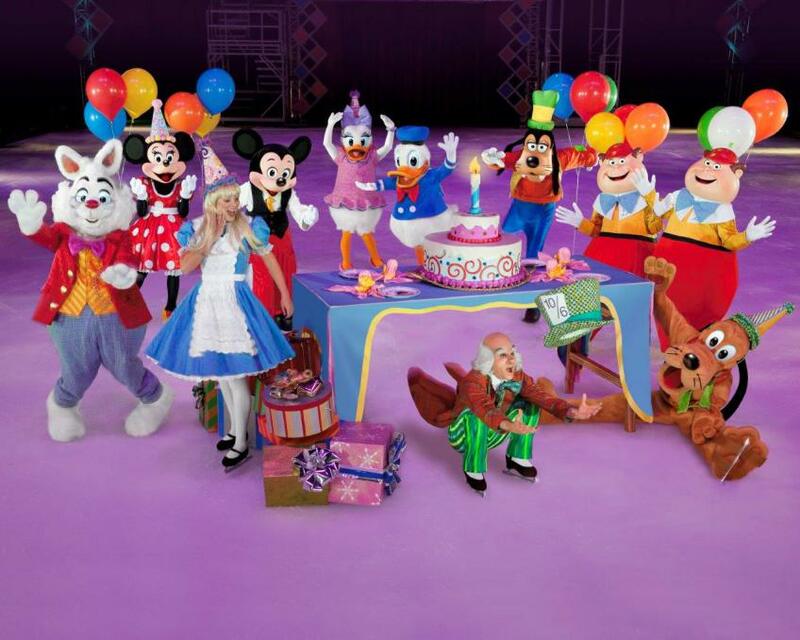 It’s one colossal party on ice, with all your favorite Disney friends at Disney On Ice presents Let’s Celebrate! Presented by YoKids Organic Yogurt. Join Mickey Mouse, Minnie Mouse, Donald and Goofy as they celebrate a Very Merry Unbirthday Party with Alice and the Mad Hatter; a Royal Valentine’s Day Ball with your favorite Disney Princesses, including Cinderella, Ariel, Belle and Tiana; a Hawaiian luau with Lilo & Stitch; a whole new world with Jasmine and Aladdin; a winter wonderland with Woody, Jessie and Buzz Lightyear; a Halloween haunt with the Disney villains and more in a magical medley of holidays, celebrations and festivities from around the globe. Tis the season, once again, for Irvine Park Railroad’s annual Christmas Train. 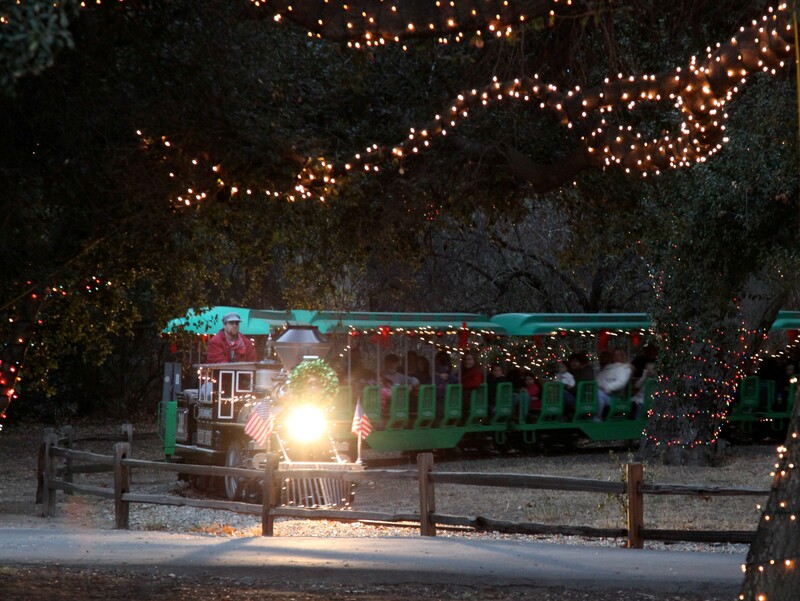 Come with family and friends and take this enchanting night ride through historic Irvine Regional Park to meet Santa Claus. The train will depart from the brightly-lit train station and drop passengers off at the North Pole. Children can share their wish list with Santa and have their photo taken with him too. You may take pictures with your personal camera or you may purchase a photo taken by Irvine Park Railroad. After visiting with Santa, hop back aboard the train and enjoy the colorful Christmas lights and decorations, as well as the magical “Tunnel of Lights”, on the ride back to Santa’s Village. 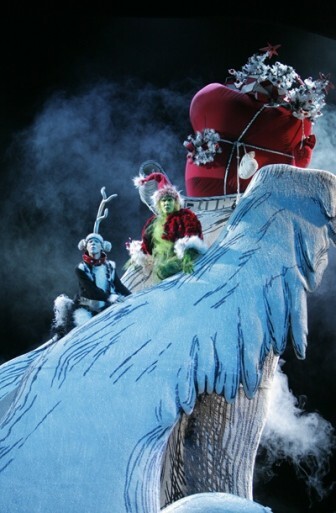 Re-discover the magic of Dr. Seuss’ classic holiday tale as it comes to life on stage. Originally conceived by the three time Tony Award winning director Jack O’Brien, the whimsical world of Whoville is beautifully realized by an A-list creative team in this delightful musical production. Featuring the hit songs “You’re A Mean One, Mr. Grinch” and “Welcome Christmas,” The Grinch discovers there’s more to Christmas than he bargained for in this heart-warming holiday classic. Max the Dog narrates as the mean and scheming Grinch, whose heart is “two sizes too small”, decides to steal Christmas away from the holiday loving Whos. Please add to the list if you’re in the Orange County area and you have a holiday favorite. Dr. Seuss’ How the Grinch Stole Christmas is on the top of my OC list. Maybe we’ll be there the same night.